Mexico City, November 15, 2016 – The turboprop aircraft manufacturer ATR and the South-American company Synergy Aerospace are pleased to announce an order for the purchase of 12 firm ATR 72-600s, plus 6 options. The aircraft are to be operated by the group’s new subsidiary in Argentina, Avian Líneas Aéreas, branded as Avianca Argentina under a license agreement. The ATR 72-600s will be configured with 72 seats and feature the most modern standards of performance and passenger comfort. 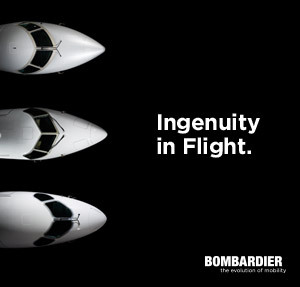 They are the most fuel and eco-efficient aircraft of their category. Launching its operations with the latest-generation ATR 72-600s, Avian Líneas Aéreas will provide an essential service across the Argentinian market, introducing new regional routes and connections to and from main hubs, first in Buenos Aires and then in Córdoba. The first delivery is expected before the end of the year, with entry into service planned for the first quarter of 2017. ATR and Synergy Aerospace have been working together closely over the last five years. Synergy Aerospace’s mainly owned subsidiary Avianca Holdings purchased 15 ATR 72-600s in 2012, currently operated by Avianca in Colombia and Central America. Today’s news follows the announcement of Synergy Aerospace’s proposed strategic investment in the Mexican airline Aeromar, which also involves the acquisition of new ATR aircraft for near-term delivery. ATR is well established in Latin America and the Caribbean region, with some 160 aircraft operating in the liveries of 30 airlines.